Vince Flynn’s intensely suspenseful #1 New York Times bestseller puts the young, hungry, and lethal superagent of American Assassin in the crosshairs even as he kills with impunity. In the year since the CIA trained and then unleashed him, Mitch Rapp has dismantled, kill by untraceable kill, the network of monsters behind the Pan Am Lockerbie terrorist attack. 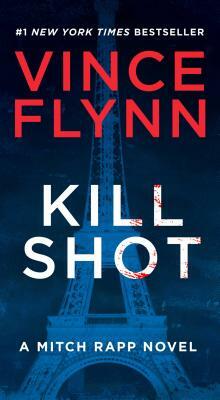 The hunt leads to Paris, where a deadly trap is sprung as the bullet leaves Rapp’s silenced pistol—followed by the discovery of nine bodies, including Libya’s oil minister, in one of the city’s finest hotels. Washington wants no part of the international crisis, and Rapp is deemed a liability by Stan Hurley, one of his handlers. But as he slips outside their control to operate on his own, it will soon become clear that nothing is more dangerous than a wounded and cornered Mitch Rapp.